Running every other day — no matter where I am — has allowed me a different perspective on some very interesting places. Here I’ll share briefly my most interesting runs in this big world. 5. Coast of Wales. The paved trail ran smooth and level for five miles from Swansea to Oystermouth, a.k.a. 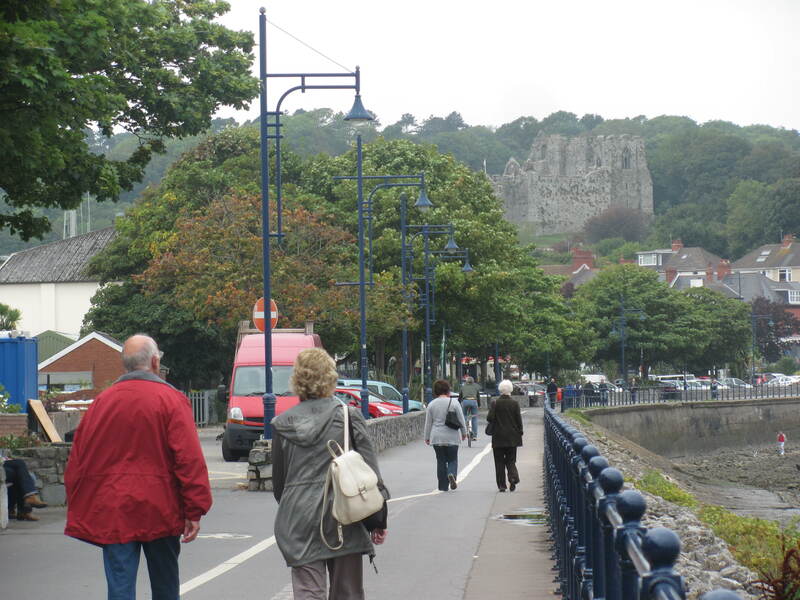 Mumbles, where the ruins of a 12th century stone castle kept a silent vigil on a hill above the town. I thought of a Brian-joke while I ran toward the castle: “What do you think the altitude is here?” Ha. The tide in Swansea Bay was tremendous, advancing and retreating more than 30 feet per cycle. The trail stayed a few feet above the high tideline, and I had the path to myself until I reached the village of Mumbles. Then a bunch of tourists appeared wearing overcoats and gloves, and wondering, I’m sure, why was this crazy Yank running the trail in shorts. 4. Bocas del Toro. This island paradise off the coast of Panama sat on the Caribbean side, also known as the rainy side. On day two of our four-day stay on Bocas, I decided that I was waterproof, and so it wouldn’t hurt me to run in the rain. 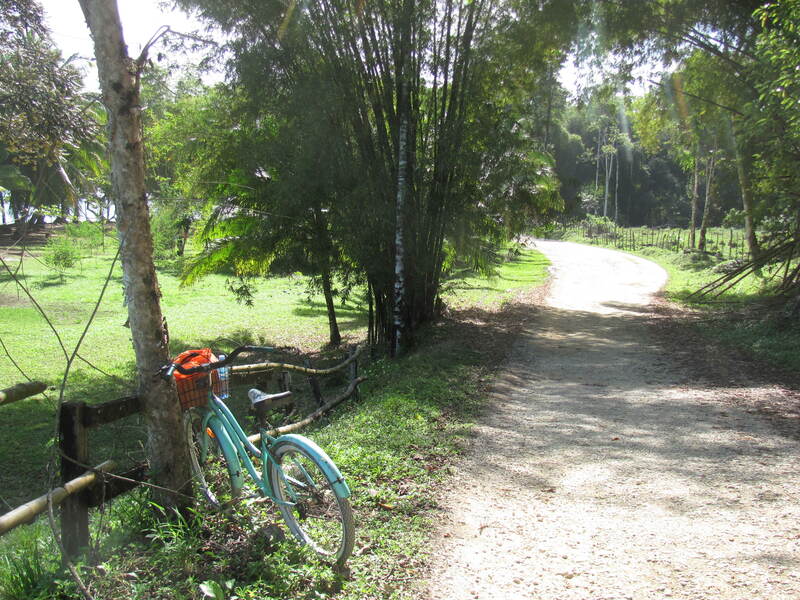 I set out from our hotel toward the coast, splashing through puddles and enjoying the eye-popping green tropical vegetation along a rural dirt road. A couple miles along the way, I ran past an abandoned house with a “se vende” (for sale) sign on it. Immediately my mind took off to imagination-land and I spent the rest of the run fantasizing about opening a women-only bed-and-breakfast hotel in Panama. By the time I got back I had nearly convinced myself that living in a rainforest in a foreign country might actually be a good idea. 3. Downtown Bangkok. I had to start running at 0400 in order to escape the intense heat, humidity, and crush of humanity of the daylight hours. At that pre-dawn hour, most of the city slept. The rats were out in droves, big fat rodents that were unafraid of the passage of a pale, foot-stomping American. 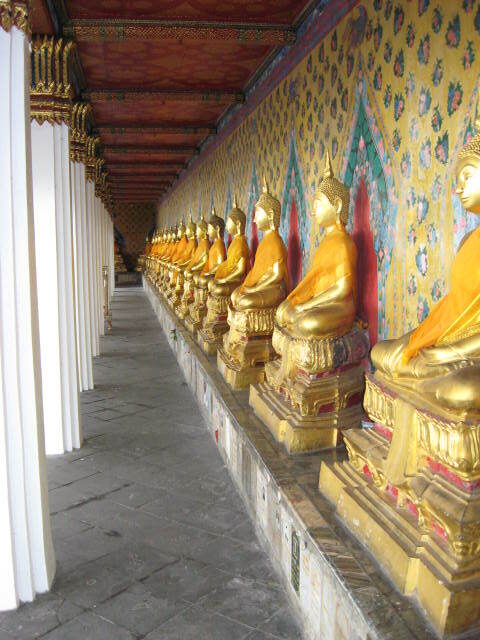 I ran to the central park, a large grassy area in front of the palace, overlooked by golden Buddhas. There hundreds of homeless people had taken up residence. They slept in family groups on plastic sheets stretched out under the stars. I circled the park several times, passing a belching diesel truck that was pumping outhouses. I leaped over the raw sewage that ran across the sidewalk. Awful as it was to run past it, I imagined it must have been a thousand times worse to live there. Suddenly our $20-a-night hostel with clean sheets and a flushing toilet looked pretty good. 2. Cotswold fog. 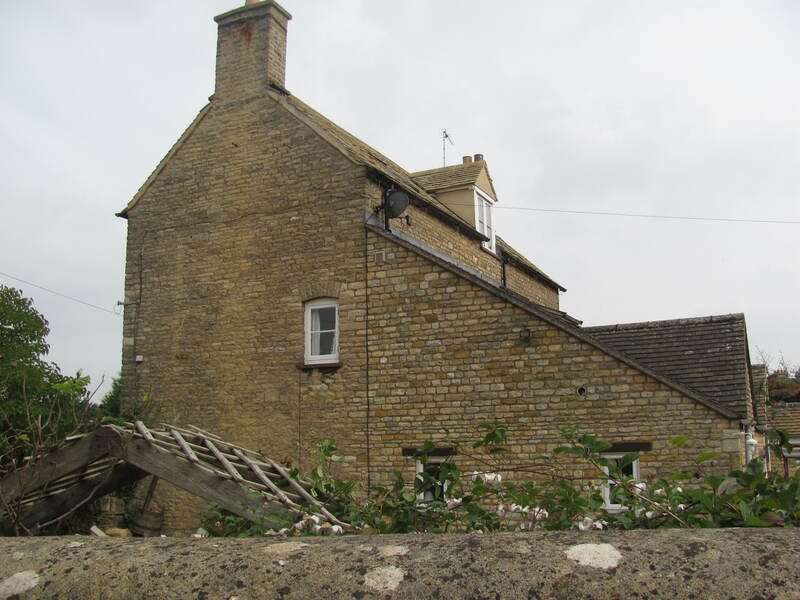 Running on the narrow lanes around the village of Stow-on- the-Wold made me feel as if I had stepped back into the time of Heathcliff of Wuthering Heights. High hedges lined the fields, partially obscuring warm golden stone buildings set back from the road. A dense fog added to the mystery. I ran on the right side of the road to face traffic, but realistically there was no shoulder for an easy escape if some crazy British driver were to swerve toward me. When I found an opening in the hedge I slipped through, to find myself in the midst of a flock of black sheep, who barely stirred at my sweaty presence. I slipped back out to the road, popped a few blackberries into my mouth, and returned through the fog to the 500 year old hotel where we were staying. 1. 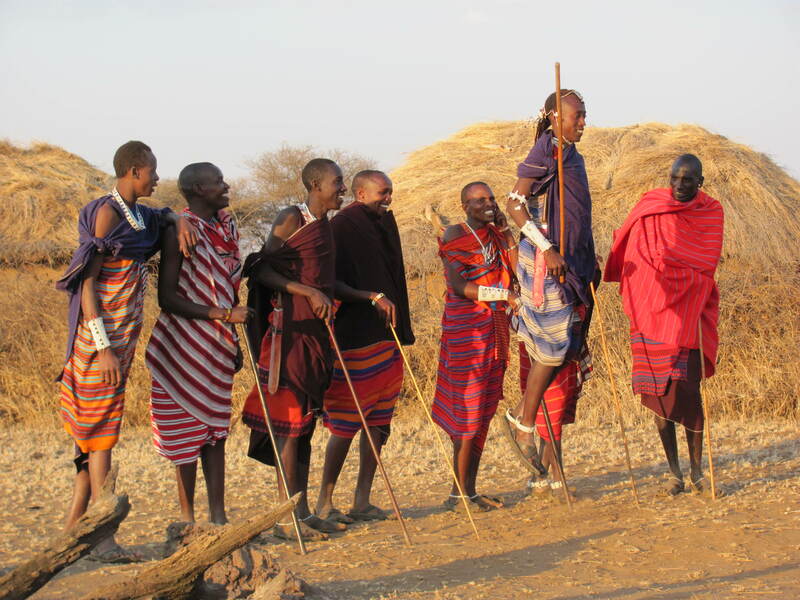 Masai Village. Running in Africa was a challenge, because the wild animals roam free, and we humans are not at the top of the food chain. I became hyper-aware of feeling like prey after being chased by baboons during an early morning run in Amboseli National Park. So when we got to this Masai village a hundred miles out in the bush from Arusha, Tanzania, I had no idea how I could manage to leave the stone-age village to run. Fortunately one of the Masai warriors volunteered to go with me. At dawn one morning we pushed open the gate that encircled the village and set out. He carried a spear and wore flimsy sandals, stealing what I imagined to be scoffing glances at my sports-bra and $100 running shoes. But politely he didn’t say a word as he jogged effortlessly beside me all the way to the neighboring village and back. At the end, he wasn’t even breathing hard. Guarding a middle-aged American jogger was an easy assignment for a Masai warrior, and I felt safe running with him on the veldt.